Don't miss out on special savings that you may be entitled to with your 2019 Arizona Renaissance Festival ticket stub! 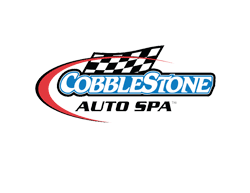 Take your 2019 Arizona Renaissance Festival ticket stub to any Cobblestone Auto Spa for a FREE CAR WASH. Ticket stubs accepted through April 15, 2019. Includes $5 Express Exterior Wash or $5 off any Full Service Car Wash.
Take your 2019 Arizona Renaissance Festival ticket stub to LEGOLAND® Discovery Center Arizona for a special discount! Ask the Admissions Host at LEGOLAND® Discovery Center Arizona for more information! Bring your 2019 Arizona Renaissance Festival ticket stub to SEA LIFE Arizona aquarium and get $5 off each ticket rate for up to 6 guests! Bring in your 2019 Arizona Renaissance Festival ticket stub to VIPAirsoft Arena in Gilbert for 50% off admission! Discount applicable to entry only, 1 player per stub. Discount offer expires May 1, 2019. Does not include rental equipment or bbs.